By Keramet Reiter. Yale University Press. 2016. How America’s prisons turned a “brutal and inhumane” practice into standard procedure. Originally meant to be brief and exceptional, solitary confinement in U.S. prisons has become long-term and common. Prisoners spend twenty-three hours a day in featureless cells, with no visitors or human contact for years on end, and they are held entirely at administrators’ discretion. Keramet Reiter tells the history of one “supermax,” California’s Pelican Bay State Prison, whose extreme conditions recently sparked a statewide hunger strike by 30,000 prisoners. This book describes how Pelican Bay was created without legislative oversight, in fearful response to 1970s radicals; how easily prisoners slip into solitary; and the mental havoc and social costs of years and decades in isolation. By Nell Bernstein. Nationwide, more than seven million children are affected by the criminal justice system and can claim a parent in prison or jail, or under parole or probation supervision. All Alone in the World describes the impact of the criminal justice system on these children, highlights policy implications, and suggests a checklist for addressing these issues. November 2003. By Susan Rosenberg. A story that is both a powerful memoir and a profound indictment of the U.S. prison system, Rosenberg recounts her journey from the impassioned idealism of the 1960s to life as a political prisoner in her own country, subjected to dehumanizing treatment, yet touched by moments of grace and solidarity. Candid and eloquent, An American Radical reveals the woman behind the controversy--and reflects America's turbulent coming-of-age over the past half century. By Angela Y. Davis. New York: Seven Stories Press, 2003. Mechthild Nagel's review of The Autobiography of Tiyo Attallah Salah-El appeared in the Journal of Prisons and Prisoners (vol. 16, #2, 2007) and is available on this web site at http://realcostofprisons.org/writing/nagel-review-tiyo.pdf. By Rickie Solinger, New York: Hill and Wang, 2001. An important book on how race and class is used to divide "deserving mothers" from other mothers, and how the concept of choice is shaped by race and politics. Fortress Press, 2006. By Laura Magnani and Harmon L. Wray. "Beyond Prisons is a critique of Americas prisons and a strategy towards abolition. This strong indictment of the current system, undertaken by two respected experts on behalf of the American Friends Services Committee, traces the history and features of our penal system, offers strong ethical and moral assessments of it, and lays out a whole new paradigm of criminal justice based on restorative or transformative justice and reconciliation." By Henrie M. Treadwell, Ph.D.(Praeger, 2012), Spotlights the plight of African American boys and men, examining multiple systems beyond education, incarceration, and employment to assess their impact on the mental and physical health of African American boys and men-and challenges everyday citizens to help start a social transformation. By Sylvia Clute (Hampton Roads, 2010). Clute writes: "I take up the challenge of addressing how, together, we can create change that works for all of us. I begin with a central pillar of our culture: how we define justice. Justice is not something that happens only in a courtroom, where I spent many years as a trial attorney. Justice is at issue virtually everywhere, all of the time, we just fail to notice. Justice is at issue in how we react to a neighbor's hurtful act, in how we run our places of worship and in how we discipline our children. Justice is a core issue. In Beyond Vengeance, you learn how re-framing justice as love, instead of retribution, is a blueprint for transformative change." (2011) by Alondra Nelson. The legacy of the Black Panther Party's commitment to community health care, a central aspect of its fight for social justice. Alondra Nelson recovers a lesser-known aspect of The Black Panther Party's broader struggle for social justice: health care. Nelson argues that the Party's focus on health care was practical and ideological and that their understanding of health as a basic human right and its engagement with the social implications of genetics anticipated current debates about the politics of health and race. Paperback (2016) by Jean Trounstine. Boy With A Knife tells the story of Karter Kane Reed, who, at the age of sixteen, was sentenced to life in an adult prison for a murder he committed in 1993 in a high school classroom. Twenty years later, in 2013, he became one of the few men in Massachusetts to sue the Parole Board and win his freedom. Boy With A Knife is also a searing critique of the practice of sentencing youth to adult prisons, providing a wake-up call on how we must change the laws in this country that allow children to be sentenced as adults. By Nell Bernstein (New Press, 2014). One in three American schoolchildren will be arrested by the time they are twenty-three and many will spend time locked inside horrific detention centers that fly in the face of everything we know about how to rehabilitate young offenders. In a clear-eyed indictment of the juvenile justice system run amok, award-winning journalist Nell Bernstein shows that there is no right way to lock up a child. The very act of isolation denies delinquent children the thing that is most essential to their growth and rehabilitation: positive relationships with caring adults. By Adam Hochschild. Paperback, 2005. The story of the British movement to abolish the slave trade. By Susan Starr Sered and Maureen Norton-Hawk. Based on five years of fieldwork in Boston, Can’t Catch a Break documents the day-to-day lives of forty women as they struggle to survive sexual abuse, violent communities, ineffective social and therapeutic programs, discriminatory local and federal policies, criminalization, incarceration, and a broad cultural consensus that views suffering as a consequence of personal flaws and bad choices. Combining hard-hitting policy analysis with an intimate account of how marginalized women navigate an unforgiving world, Susan Sered and Maureen Norton-Hawk shine new light on the deep and complex connections between suffering and social inequality. Edited by Rodney Neufeld. Atlanta: Clarity Press, 2003. By Doug Carnine (2017). "Be kind." It sounds simple, so why is it so difficult? Most of us recognize that being kinder and more present would not only improve our own lives and the lives of our loved ones, but also strengthen our communities. Numerous scientific studies have confirmed that both living mindfully and being kind to others offer a host of benefits -- from stronger relationships to longer life. Yet even if we truly care and are motivated to change, we find that old habits keep us from achieving our goal of increasing our kindness and improving our relationships. With his book How Love Wins, University of Oregon professor emeritus Doug Carnine offers another path. In this simple but powerful guide, Carnine leads the reader through a 12-step process of transformation, opening a toolbox of skills and techniques that anyone can use to live more fully in the moment and be more kind to themselves and others. By Doug Carnine. (2017) "My life was the result of my crazy childhood." With these words began an extraordinary correspondence, between Roy Tester, a double-murderer serving a life sentence in the notorious Arkansas prison, Tucker Maximum Security Prison, and Doug Carnine, a meditation teacher and lay Buddhist minister on the other side of the country. In the letters that followed -- more than 700 over seven years -- these two men, along with three other prisoners at Tucker Max, developed a profound spiritual partnership that changed all of their lives. Saint Badass: Personal Transcendence in Tucker Max Hell tells the inspiring story of these unlikely friends in their own words, and follows their journey as they rediscover their humanity in one of the most inhuman places on Earth. By Marie Gottschalk. Princeton Univ. Press. 2015. "In this book, Marie Gottschalk examines why the carceral state, with its growing number of outcasts, remains so tenacious in the United States. She analyzes the shortcomings of the two dominant penal reform strategies—one focused on addressing racial disparities, the other on seeking bipartisan, race-neutral solutions centered on reentry, justice reinvestment, and reducing recidivism. "In this bracing appraisal of the politics of penal reform, Gottschalk exposes the broader pathologies in American politics that are preventing the country from solving its most pressing problems, including the stranglehold that neoliberalism exerts on public policy. She concludes by sketching out a promising alternative path to begin dismantling the carceral state." Edited by Daniel Burton-Rose. Monroe, Maine: A Prison Legal News Book, Common Courage Press, 1998. By Talitha L. LeFlouria. (2016) In 1868, the state of Georgia began to make its rapidly growing population of prisoners available for hire. The resulting convict leasing system ensnared not only men but also African American women, who were forced to labor in camps and factories to make profits for private investors. In this vivid work of history, Talitha L. LeFlouria draws from a rich array of primary sources to piece together the stories of these women, recounting what they endured in Georgia's prison system and what their labor accomplished. LeFlouria argues that African American women's presence within the convict lease and chain-gang systems of Georgia helped to modernize the South by creating a new and dynamic set of skills for black women. At the same time, female inmates struggled to resist physical and sexual exploitation and to preserve their human dignity within a hostile climate of terror. The Challenges of Mass Incarceration in America: Does Locking Up More People Reduce Crime? "Incarceration and Social Inequality" by Bruce Western and Becky Pettit. Marie Gottschalk on "Cell Blocks and Red Ink: Mass Incarceration, the Financial Crisis, and Penal Reform." Candace Kruttschnitt on "The Paradox of Women's Imprisonment." Nicola Lacey on "American Imprisonment in Comparative Perspective." Jonathan Simon on "Clearing the 'Troubled Assets' of America's Punishment Bubble." Lo?c Wacquant on "Class, Race, and Hyperincarceration in Revanchist America." Edited by Stephen John Hartnett. Univ. of IL. Press. These essays offer an ideological and practical framework for empowering prisoners instead of incarcerating them. Experts and activists who have worked within and against the prison system join forces to call attention to the debilitating effects of the punishment-driven society and offer alternatives, emphasizing working directly with prisoner and their communities. The collection includes case studies of successful prison arts and education programs in MI, CA, MO, WI and PA.
By Paul Redekop. Herald, 296 pp., $18.99 paperback. Redekop calls for an approach to restorative justice that enables offenders to be active participants in making things right for all stakeholders-victims, offenders, the community and society as a whole. By Karen Houppert (2013 New Press). Fifty years of trying to make good on the promise of indigent defense in Gideon v. Wainwright. On March 18, 1963, in one of its most significant legal decisions, the U.S. Supreme Court unanimously ruled in Gideon v. Wainwright that all defendants facing significant jail time have the constitutional right to a free attorney if they cannot afford their own. Fifty years later, 80 percent of criminal defendants are served by public defenders. In a book that combines the sweep of history with the intimate details of individual lives and legal cases, veteran reporter Karen Houppert chronicles the stories of people in all parts of the country who have relied on Gideon's promise. By Juanita Diaz-Cotto. May 2006, University of Texas Press, Austin, TX 368 pp ISBN: 0-292-71316-9 (paperback): US $21.95 ISBN: 0-292-71272-3 (hardcover): US $55.00 Chicana Lives and Criminal Justice is the first comprehensive book to document the experiences of Chicanas with the U.S. criminal justice system. Set in California, it uses oral history to allow 24 Chicana pintas (prisoners/ former prisoners) to speak both about their lives and the impact of drug-war policies on them and their barrios. A Renegade Prosecutor's Radical Thoughts on How to Disrupt the System." By Paul Butler. New Press. 2017. Edited by Gregg Barak, et. al. Los Angeles: Roxbury, 2001. By Elaine Brown. Boston: Beacon Press, 2002. By Sasha Abramsky. More than four million Americans, mainly poor, black, and Latino, have lost the right to vote. In some states, as many as a third of all African American men cannot take part in the most basic right of a democracy. The reason? Felony disenfranchisement laws, which remove the vote from people while they are in prison or on parole, and, in several states, for the rest of their lives. By Clare Hanrahan, 2004. Book about Hanrahan's 6 month imprisonment in Alderson Federal Prison (go to the book's website). "With increasingly harsh penalties for nonviolent civil disobedience, more protesters of government policies will end up in prison. Activists, and especially women in the US, should read this book." - Brian Burch, Resources for Radicals, Toronto, Canada. By Danny Lyon. Re-issued by Phaidon. Conversations With the Dead was published in 1971 and immediately hailed as a classic of insider reportage. It has since become a much sought-after collector's item with a price tag to match. Now, finally, Phaidon has republished it in a revised, digitally remastered edition. By T. Lamont Baker (2014). "Baker sees that A Convict's Perspective is poised to disrupt and refine the ways in which traditional penologists, criminologists, and prison officials view, approach, and seek to actualize prisoner reform. He now sees the role that his writings can and should play in the evolution of penology as a field of study. This vision is most appealing to him. This vision is what is compelling this self-taught Millennial to transform the prison system; it's what makes him believe that prison can go from being a criminogenic gladiator school to being a radical organic university that creates high-quality, law-abiding citizens." By Elizabeth Dermody Leonard. SUNY series in Women, Crime, and Criminology, 2002. Explores the experiences of women imprisoned for killing their male abusers and their treatment by the criminal justice system. By Joseph Dole, who also has several pieces in our Writing from Prison section. A Costly American Hatred is an in-depth look at how America’s hatred of “criminals” has led the nation down an expensive path that not only ostracizes and demonizes an ever-growing segment of the population, but is also now so pervasive that it is counterproductive to the goals of reducing crime and keeping society safe, wastes enormous resources, and destroys human lives. Anyone who is convicted of a crime (and many who aren't convicted, but only charged) is no longer considered human in the eyes of the rest of society. This allows them to be ostracized, abused, commoditized, and disenfranchised. The rest of society sanctimoniously rejoices in all of it, with a self-righteous “they deserve it” mantra. It does nothing to lessen crime though. Instead, it more often than not increases crime, tears at the fabric of society and individual families, and creates a permanently impoverished “criminal” underclass. Most people are unaware of just how awry our criminal justice policies have gone. A Costly American Hatred seeks to educate people on how pervasively society ostracizes people who fall into the clutches of the criminal justice system and the toll it is taking on our country. By Wally Lamb and the women of York Correctional Institution. New York: HarperCollins, 2003. By Nils Christie. New York: Routledge. Third edition, October 2000. Edited by Elihu Rosenblatt. Boston: South End Press, 1996. Edited by Barbara Raffel Price and Natalie J. Sokoloff. New York: McGraw-Hill. Third ed., 2003. By Risdon N. Slate, W. Wesley Johnson. 2008, 432 pp, ISBN: 978-1-59460-268-9. Paper. $45.00. For a myriad of reasons the criminal justice system has become the de facto mental health system, with the three largest inpatient psychiatric institutions in America being jails-not hospitals. This book explores how and why this is the case. Sensationalized cases often drive criminal justice policies that can sometimes be impulsively enacted and misguided. Coverage runs the gamut from specialized law enforcement responses, to mental health courts, to jails and prisons, to discharge planning, diversion, re-entry, and outpatient commitment. Also, criminal justice practitioners in their own words provide insight into and examples of the interface between the mental health and criminal justice systems. Throughout the book the balance between maintaining public safety and preserving civil liberties is considered as the state's police power and parens patriae roles are examined. Lastly, collaborative approaches for influencing and informing policies that are often driven by crises are discussed. By Joe Domanick. 2004. Paperback. When the people of California overwhelmingly voted for the 1994 "three strikes" law, many had no idea what they were approving. What few people realized, however, was that the sweeping nature of the law would put thousands of nonviolent men and women in prison for twenty-five years to life, for crimes as minor as shoplifting $2.69 worth of AA batteries, forging a check for $94.94, or attempting to buy a macadamia nut disguised as a $5 rock of cocaine. Joe Domanick reveals the drama of the shattered lives involved with the law. Focusing on personal stories, Cruel Justice expands to tell the larger tale of how the law came into existence; how it has played out; what political, social, and economic forces lie behind it; and how the politics of crime and fear work in America. Domanick demonstrates how laws passed in haste, without deliberation, and in reaction to public hysteria can have unforeseen consequences as tragic as those they were designed to thwart. By The Men for Honor Writing Group (Author), Dortell Williams (Author, Editor). This book is a collaboration of writings by The Men for Honor Writers Group at the California State Prison in Los Angeles County. This work – by prisoners serving time for non-violent drug offenses to first degree murder – offers diverse approaches to admonish, dissuade and advise youth how to avoid finding themselves in the horrific and tragic consequences of incarcerated life. The Men for Honor Creative Writing Class represents the unique California program located in the State Prison in Los Angeles County, called The Honor Program. Edited by Geoffrey Adelsberg, Lisa Guenther, and Scott Zeman. Fordham University Press 2015. "Motivated by a conviction that mass incarceration and state execution are among the most important ethical and political problems of our time, the contributors to this volume come together from a diverse range of backgrounds to analyze, critique, and envision alternatives to the injustices of the U.S. prison system, with recourse to deconstruction, phenomenology, critical race theory, feminism, queer theory, and disability studies. They engage with the hyper-incarceration of people of color, the incomplete abolition of slavery, the exploitation of prisoners as workers and as “raw material” for the prison industrial complex, the intensive confinement of prisoners in supermax units, and the complexities of capital punishment in an age of abolition. The resulting collection contributes to a growing intellectual and political resistance to the apparent inevitability of incarceration and state execution as responses to crime and to social inequalities. It addresses both philosophers and activists who seek intellectual resources to contest the injustices of punishment in the United States." Edited by Ernest Drucker with essays by Mujahid Farid and Laura Whitehorn, Danielle Sered, Todd Clear, Kathy Boudin and others. 2018. New Press. By Elizabeth Hull. An examination of disenfranchisement policy. Professor Hull, a political scientist, "provides a comprehensive overview of the history, nature, and far-reaching sociological and political consequences of denying ex-felons the right to vote." Criminologist Jerome Miller describes the book as "a rich historical narrative bolstered by the kind of contemporary salient data usually absent in discussions of this type." Temple University Press, January 2006. By Patrick W. Berry (2018) offers a much-needed analysis of the teaching of college writing in U.S. prisons, a racialized space that—despite housing more than 2 million people—remains nearly invisible to the general public. Through the examination of a college-in-prison program that promotes the belief that higher education in prison can reduce recidivism and improve life prospects for the incarcerated and their families, author Patrick W. Berry exposes not only incarcerated students’ hopes and dreams for their futures but also their anxieties about whether education will help them. By Mike Gray. New York: Random House, 1998. Stories, poems and drama by imprisoned writers. Edited by Susan Nagelsen. Introduction by Robert Johnson. Photographs by Lou Jones. New England College Press, 2008. A book of excellent writing by (mostly) lifers, with pictures, where allowed, of the writers and introductory interview essays of each writer by Susan Nagelsen. The introduction places the work of the writers in a political context. By Laura Frisbee. Frisbee provides first-hand knowledge from the experiences and problems she has encountered in her journeys to visit her family member. Along with the problems, she has also included many solutions that she found helpful in making the trips easier with fewer complications. A resource for families who have a loved one incarcerated in any of the 33 State Prisons in California. Cali Love Publishing, ISBN:0-9785313-0-2, 276 pp., $19.99, http://www.calilovepublishing.com. Christopher Zoukis. Middle Street Publishing. (2017). This is a the definitive guide for men in and about to enter the Federal prison system. Department of Justice Investigation of the Ferguson Police Department. United States Department of Justice, Civil Rights Division. Introduction by Theodore M. Shaw. The New Press (July 2015). By David Rothenberg. (2012) Applause Theatre & Cinema Book Publishers. David Rothenberg has been involved with more than 200 Broadway and Off-Broadway productions as publicist or producer. His production of John Herbert's prison drama Fortune and Men's Eyes led to the creation of the Fortune Society, one of the nation's leading advocacy and service organizations in criminal justice. He conceived, directed and coauthored the play, The Castle, based on the work of the Fortune Society, which played off-Broadway for 13 months. By Doran Larson (Editor), 2014. At 2.26 million, incarcerated Americans not only outnumber the nation’s fourth-largest city, they make up a national constituency bound by a shared condition. Fourth City: Essays from the Prison in America presents more than seventy essays from twenty-seven states, written by incarcerated Americans chronicling their experience inside. In essays as moving as they are eloquent, the authors speak out against a national prison complex that fails so badly at the task of rehabilitation that 60% of the 650,000 Americans released each year return to prison. These essays document the authors’ efforts at self-help, the institutional resistance such efforts meet at nearly every turn, and the impact, in money and lives, that this resistance has on the public. Directly confronting the images of prisons and prisoners manufactured by popular media, so-called reality TV, and for-profit local and national news sources, Fourth City recognizes American prisoners as our primary, frontline witnesses to the dysfunction of the largest prison system on earth. Filled with deeply personal stories of coping, survival, resistance, and transformation, Fourth City should be read by every American who believes that law should achieve order in the cause of justice rather than at its cost. "Freeing Tammy: Women, Drugs, and Incarceration" by Jody Raphael. (paperback, University Press of New England) describes the effects of imprisonment on Tammy Johnson and her 11-year old son Terrence. 2007. By Davon McNeil. This book was birthed from the minds of men who have been sentenced to spend the rest of their natural lives behind cold steel, concrete and prison bars. Read each sentence within this book carefully. You’re going to experience joyful wisdom and painful testimonies from many great men. We’re sharing our divine truths and life experiences up close and personal. We have been able to find beauty and meaning to our lives within an environment that breeds despair. Keep in mind that we’re serving hard and serious time. Many of us have lost our loved ones over the years to death, and our children—who were babies when we came to prison—are now adults. We’ve been cut off from society and buried alive. Our Supreme Intention for creating this book is to show the youth of today that they don’t have to follow in our footsteps. We hope this book inspires, provokes though and may even save a life! In the beginning of my incarceration I asked myself, “How did I get here?”. During the therapeutic process and seeking to answer that question, I came to the understanding of “how to stay out of prison.” It was through a determined path of rehabilitation that has manifested in me a healthy process of transformation, stability and a life that is lawful. This will insure the success of my reintegration back into society, parole conditions and obedience of the laws of the land. Every tool and skill that I have learned has become a part of my thinking and behavior today. These are skills that I practice in my day-to-day life, and will continue to practice once I am released. This books was created with the hope that my journey can guide others who find themselves in the same situation. By Elizabeth Hinton. Harvard. 2016. In the United States today, one in every thirty-one adults is under some form of penal control, including one in eleven African American men. How did the “land of the free” become the home of the world’s largest prison system? Challenging the belief that America’s prison problem originated with the Reagan administration’s War on Drugs, Elizabeth Hinton traces the rise of mass incarceration to an ironic source: the social welfare programs of Lyndon Johnson’s Great Society at the height of the civil rights era. Edited by Julia Sudbury. "Global Lockdown makes a compelling case for the convergence of abolitionist prison and anti-globalization work in the age of global capitalism, neoliberalism, and U.S. economic and political hegemony." - Chandra Talpade Mohanty. Contributors include: Asale Angel-Ajani. Lisa Neve, Kim Pate, Kamala Kempadoo, Robbie Kina, Beth Richie, Shahnaz Kahn, Kemba Smith, Cristina Jose-Kampfner, Naomi Murakawa, Rebecca Bohrman, Juanita Diaz-Cotto, Manuela Ivone Pereira da Cunha, Biko Agozino, Elham Bayour, Linda Evans, Ruth Wilson Gilmore, Lisa Vetten, Kailash Bhana, Melissa Upreti, and Debbie Kilroy. By Joseph T. Hallinan. New York: Random House, 2003. By Ruth Wilson Gilmore (2006). Since 1980, the number of people in U.S. prisons has increased more than 450%. California has led the way in this explosion, with what a state analyst called "the biggest prison building project in the history of the world." Golden Gulag provides the first detailed explanation for that buildup by looking at how political and economic forces, ranging from global to local, conjoined to produce the prison boom. In an informed and impassioned account, Ruth Wilson Gilmore examines this issue through statewide, rural, and urban perspectives to explain how the expansion developed from surpluses of finance capital, labor, land, and state capacity. The results--a vast and expensive prison system, a huge number off incarcerated young people of color, and the increase in punitive justice such as the "three strikes" law--pose profound and troubling questions for the future of California, the United States, and the world. By James Samuel Logan. Eerdmans, 271 pp., $20.00 paperback. Drawing on Stanley Hauerwas's work in Christian ethics, Logan calls on the church to imagine and model a better response to crime and to help the rest of society construct one. By Manning Marable. New York: Basic Books, 2003. By Sasha Abramsky. New York: Tomas Dunne Books, 2002. Edited by Jean Casella, James Ridgeway, Sarah Shourd. Kirkus (2015). California Prison Moratorium Project, June 2006. Book can be ordered and downloaded free at http://www.prisonactivist.org/pmp. By Mary Pattillo, David Weiman, and Bruce Western. Russell Sage Foundation, 2004. Imprisoning America illustrates that the experience of incarceration itself, and not just the criminal involvement of inmates, negatively affects diverse aspects of society. By contributing to the social exclusion, incarceration may actually increase crime rates, and threaten public safety. This book highlights the need for new policies to support ex-prisoners and the families and communities to which they return. By Todd R Clear. In the first detailed, empirical exploration of the effects of mass incarceration on poor places, Imprisoning Communities demonstrates that in high doses incarceration contributes to the very social problems it is intended to solve: it breaks up family and social networks; deprives siblings, spouses, and parents of emotional and financial support; and threatens the economic and political infrastructure of already struggling neighborhoods. Especially at risk are children who, research shows, are more likely to commit a crime if a father or brother has been to prison. Clear makes the counterintuitive point that when incarceration concentrates at high levels, crime rates will go up. Removal, in other words, has exactly the opposite of its intended effect: it destabilizes the community, thus further reducing public safety. (Oxford University Press). By Kristin Bumiller (Duke). In an Abusive State puts forth a powerful argument: that the feminist campaign to stop sexual violence has entered into a problematic alliance with the neoliberal state. Kristin Bumiller chronicles the evolution of this alliance by examining the history of the anti-violence campaign, the production of cultural images about sexual violence, professional discourses on intimate violence, and the everyday lives of battered women. In the process, Bumiller reveals how the feminist fight against sexual violence has been shaped over recent decades by dramatic shifts in welfare policies, incarceration rates, and the surveillance role of social-service bureaucracies. Edited by Paula C. Johnson. New York: New York University Press, 2003. Mike Morris, ed. Prison Research Education Action Project, 1976. From discussions on the range of voices that comprise the movement for prison abolition to demystification of the myths surrounding the justification of imprisonment and practical steps toward breaking free from relying on imprisonment, Instead Of Prisons offers organizrs and activists a primer for strategy and actin in the fight to build a world without prisons. A reprint of this 1976 classic, with a new introduction from Critical Resistance. When it was first published almost three decades ago, Instead of Prisons proposed a conceptual toolkit for those of us who believed then that ever larger numbers of prisons would result in a dangerous entrenchment of the racism we were trying to eliminate. We now face what was our worst nightmare: proliferating penal institutions linked to a global prison industrial complex that transforms bodies of color into society's excess. The republication of this handbook by Critical Resistance is a response to this contemporary emergency. Prisons must be abolished or there will be no hope for a democratic future. By Flores A. Forbes. Foreword by Robin D. G. Kelley. Flores Forbes, urban planner, and a former leader in the Black Panther Party, has been free from prison for more than twenty-five years; still he is part of a group of black men without a constituency who are all but invisible in society. That is, the “invisible” group of black men in America who have served their time and not gone back to prison who continue to be stigmatized long after their incarceration ends. Invisible Men is a book that will crack the code on the stigma of incarceration. Forbes was one of the few who devised a strategy for success and achievement after his release from prison. In Invisible Men Forbes offers critical insights drawn from his own extraordinary experience with incarceration as well as from other informed sources on how society can reintegrate those who have been incarcerated. Policy makers, educators, the formerly incarcerated and their families, and those who might someday work or deal with these men can benefit from his wisdom. Forbes gives invisible men a face and a voice. Edited by Marc Mauer and Meda Chesney-Lind. New York: New Press, 2002. By Clare Hanrahan. Now in its 3rd edition. A legal resource produced to assist prisoners and others in negotiating the U.S. legal system. With thirty-six chapters on legal rights and procedures including Federal Habeas Corpus relief, AIDS in prison, religious freedom in prison, special issues of female prisoners, immigration law and legal research, the JLM is a major legal reference for prisoners and libraries across the country. The HRLR publishes this critical legal resource and delivers it to some of those whose rights are most threatened in our system yet who often have no access to legal assistance. A Spanish version of the JLM is also published. JLM is now one volume and costs $30.00. Also available free online. HRLR also publish the Immigration and Consular Access Supplement for $5.00. By Deborah Ellis (Fitzhenry & Whiteside). Paperback 2007. 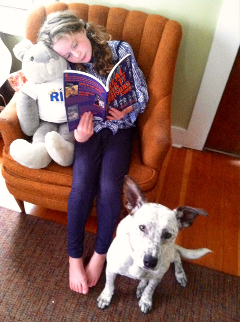 A very good book for young (and not so young) readers. "The bus to Wickham Prison (in NY) carries Jake, his sister and an assortment of nervous and unhappy kids all anxious to see their moms." This time the bus trip will be different. By Mara Taub. Chandon Press, 1998. 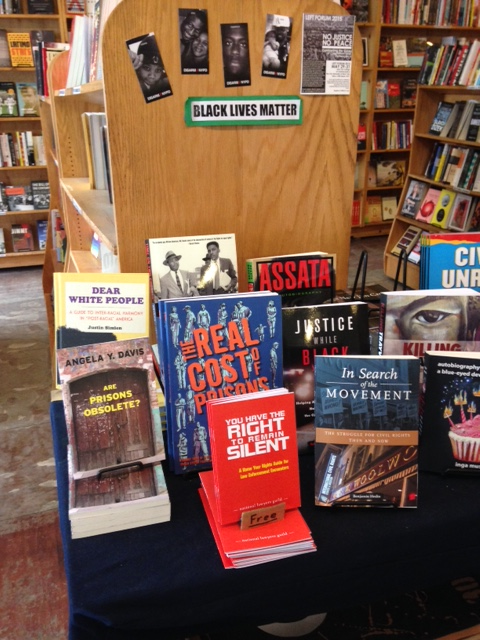 A collection of readings for students and prospective jurors on the realities of the police, court and penal system. An essential guide for understanding and action on the realities of our political system. This book can be ordered by email at cpr1911@yahoo.com or by writing The Coalition for Prisoners Rights, P.O. Box 1911, Santa Fe, NM 87504. By Dorothy Roberts. New York: Pantheon, 1997. In this groundbreaking study based on archival research about Chicana and Chicano prisoners--known as Pintas and Pintos--as well as fresh interpretations of works by renowned Pinta and Pinto authors and activists, B. V. Olguín provides crucial insights into the central roles that incarceration and the incarcerated have played in the evolution of Chicana/o history, cultural paradigms, and oppositional political praxis. This is the first text on prisoners in general, and Chicana/o and Latina/o prisoners in particular, that provides a range of case studies from the nineteenth century to the present. Olguín places multiple approaches in dialogue through the pairing of representational figures in the history of Chicana/o incarceration with specific themes and topics. Case studies on the first nineteenth-century Chicana prisoner in San Quentin State Prison, Modesta Avila; renowned late-twentieth-century Chicano poets Raúl Salinas, Ricardo Sánchez, and Jimmy Santiago Baca; lesser-known Chicana pinta and author Judy Lucero; and infamous Chicano drug baron and social bandit Fred Gómez Carrasco are aligned with themes from popular culture such as prisoner tattoo art and handkerchief art, Hollywood Chicana/o gangxploitation and the prisoner film American Me, and prisoner education projects. By Jerome G. Miller, Columbus: Ohio State University Press, 1991. Filled with insights on how bureaucracies maintain themselves, the damage incarceration causes to both the caged and the keepers, and much more - this book is even more relevant now than when it was first published. [Note: Last One Over the Wall is out of print but paperbacks can be purchased through abebooks.com and other used book dealers]. By Ellen Condliffe Lagemann. New Press. 2017. A forceful and thought-provoking argument for free college education for everyone in prison, from the former dean of the Harvard Graduate School of Education. By Robert Riley (2014). In this nonfiction account, Robert Reilly provides a look inside America's prison system unlike any other, and the way it affects not only the prisoners themselves, but also the corrections officers and their families. By Jennifer Gonnerman. New York: Farrar, Straus and Giroux, 2004. This book tells the story of Elaine Bartlett, who spent sixteen years in prison for a single sale of cocaine - a consequence of the Rockefeller drug laws. It book opens on the morning Elaine is set free from Bedford Hills after winning clemency. By Donna Hylton (Author),? Kristine Gasbarre. Donna Hylton is a groundbreaking advocate for criminal justice reform. She works to ensure prison safety and to end mass incarceration in the US. But in 1986, Hylton experienced prison from the inside when she was sentenced to 25 years-to-life for kidnapping and second-degree murder. But behind the bars of Bedford Hills Correctional Facility, alongside this generation's most infamous female criminals, Donna learned to fight -- and then, to thrive. For the first time in her life, she realized that she was not alone in the abuse and misogyny that she experienced; as she bonded with her new sisters, she discovered that her pain was not an anomaly, but a commonality among women from all walks of life. Since her release in 2012, Donna has emerged as a leading advocate for criminal justice reform and women's rights who speaks with politicians, violent abusers, prison officials, victims, and students to tell her story. "When I first got to Progress, it freaked me out to be locked in a room and unable to get out. But after a while, when you got to thinking about it, you knew nobody could get in, either. It seems as if the only progress that's going on at Progress juvenile facility is moving from juvy jail to real jail. Reese wants out early, but is he supposed to just sit back and let his friend Toon get jumped? Then Reese gets a second chance when he's picked for the work program at a senior citizens' home. He doesn't mean to keep messing up, but it's not so easy, at Progress or in life. One of the residents, Mr. Hooft, gives him a particularly hard time. If he can convince Mr. Hooft that he's a decent person, not a criminal, maybe he'll be able to convince himself. By Christian Parenti. New York: Verso, 2000. By Dortell Williams. Dortell Williams is a forty-three-year-old life prisoner in California, where he has been confined for the last twenty years. A lover of learning, Williams calls prison his "university," and proudly asserts that despite the inherent repression of prison, he has still accomplished "a list of personal achievements." He is currently studying for an associate's degree in Seminary through a correspondence course. He has taught himself to type, operate computers, communicate in Spanish, and earned a paralegal certificate. But most importantly to him, he has taught himself to write, and by that means he passionately represents the underclass, speaking tirelessly to the mass injustice his peers and social class suffer in chucks of decades on a daily basis. Williams is a proud father of a beautiful daughter, a mentor to many, and a follower of faith through action against scarce odds. By Patricia O'Brien. SUNY series in Women, Crime, and Criminology. Paperback, 2001. Explores how women who were incarcerated make the transition from prison back into society. This is the first study to address the important but neglected topic of how women return to the "free world" after single or multiple experiences of incarceration. It uses first-person narratives and a comprehensive review of contemporary theory to provide useful suggestions for practitioners and policymakers concerned with responding to the increasing number of women in the criminal justice system. The book challenges practitioners to be more proactive in recognizing the needs of this population and more responsive to these needs. O'Brien suggests policy changes, especially related to alternatives to incarceration. The first-person narratives of non-recidivist women provide concrete and powerful examples of the crucial mix of ingredients any woman needs to remain free and empowered in a context of powerlessness and increasing social control. Merchandizing Prisoners: Who Really Pays for Prison Privatization? One of the first books to objectively examine the privatization of prisons has been published by Byron Eugene Price, an Assistant Professor of Public Policy and Administration at Rutgers University-Newark. The book, Merchandizing Prisoners: Who Really Pays for Prison Privatization - Greenwood Publishing Group has a March release date. This work looks at all 50 states and sets the record straight about the decision to privatize state prisons, revealing the political bias that often drives these policy choices. This work is one of the first to look at this topic and how it impacts African American communities and it is the only sole-authored work available that discusses the political economy of private prisons. By RY Willingham, Rhonda Harris, and Susan Castro (Paperback, 2007 iUniverse). Never Say Never is a book about the unpredictability of love and staying in love. Three women all marry incarcerated men and share how they celebrate these committed relationships against tremendous odds. By Joy James, Paperback, 337 pages. State Univ of New York Press, 2005. By Michelle Alexander, New Press, 2010. "Michelle Alexander argues that we have not ended racial cast in America: we have simply redesigned it. Alexander shows that by targeting black men through The War on Drugs and decimating communities of color, the U.S. criminal justice system functions as a contemporary system of racial control." An excellent book! By Ted Conover. New York: Random House, 2000. By Sarah Haley (University of North Carolina 2016). In the late nineteenth and early twentieth centuries imprisoned black women faced wrenching forms of gendered racial terror and heinous structures of economic exploitation. Subjugated as convict laborers and forced to serve additional time as domestic workers before they were allowed their freedom, black women faced a pitiless system of violence, terror, and debasement. Drawing upon black feminist criticism and a diverse array of archival materials, Sarah Haley uncovers imprisoned women’s brutalization in local, county, and state convict labor systems, while also illuminating the prisoners’ acts of resistance and sabotage, challenging ideologies of racial capitalism and patriarchy and offering alternative conceptions of social and political life. A landmark history of black women’s imprisonment in the South, this book recovers stories of the captivity and punishment of black women to demonstrate how the system of incarceration was crucial to organizing the logics of gender and race, and constructing Jim Crow modernity. By Amy Bach. Metropolitan Books. 2009. Attorney and journalist Amy Bach spent eight years investigating the widespread courtroom failures that each day upend lives across America. In the process, she discovered how the professionals who work in the system, however well intentioned, cannot see the harm they are doing to the people they serve. Here is the public defender who pleads most of his clients guilty with scant knowledge about their circumstances; the judge who sets outrageous bail for negligible crimes; the prosecutor who habitually declines to pursue significant cases; the court that works together to achieve a wrongful conviction. She exposes an assembly-line approach to justice that rewards mediocre advocacy, bypasses due process, and shortchanges both defendants and victims to keep the court calendar moving. It is time, Bach argues, to institute a new method of checks and balances that will make injustice visible-the first and necessary step to reform. Paperback (2015) by Q. Futrell (Author), Clarissa Ferguson (Illustrator). Meet Michael, Paul, Jennifer and Anne. All children are different in many ways, but all have one thing in common, their moms are in prison. Parental Incarceration affects children in many ways. This book will serve as a conversation starter for such a sensitive issue that impacts nearly 3 million children in the US. by Nancy Kurshan (2013) On the Freedom Archives website is a version of the book adapted for the web from the complete printed book of the same title, now available from Freedom Archives . This web version has links to many of the documents cited, the text is shorter, and some of the graphics are different. The website includes many very interesting photos, flyers, posters, documents during the period discussed in the book. By Martin L. Lockett (2013). Martin Lockett grows up in a tough neighborhood in Portland Oregon and by the time he's fifteen, his parents don't know what to do with him. He and his homies steal cars, drink, and smoke dope and even though Martin's bright, the only time he does well at school is when he gets kicked out and has to attend alternative classes. After Martin serves three years in prison for his part in a robbery, he finally seems to turn himself around. He gets a good job, moves up in the company, meets a nice girl, and he's proud to buy his first car. But his decision to get behind the wheel one drunken New Year's Eve, leaves two innocent people dead, several families destroyed . . . and puts the twenty-four-year-old Martin behind bars for nearly twenty years. In what he realizes is a Palpable Irony, it is in prison that Martin finally finds meaning and direction in life. Devastated by the tragedy he has caused, he takes advantage of the educational opportunities offered to him. With his study of psychology, he begins to unravel the tangled threads of his life, gaining wisdom and insight that he puts to use in understanding his own youthful motivations and in counseling other young men, like him, who are headed straight for disaster. Penned within prison walls where the author still resides, Palpable Irony upliftingly chronicles a lost man's discovery of himself and his potential as an instrument for good. By Jon Marc Taylor, PhD. With an introduction by Marc Mauer. Book be ordered from Biddle Publishing/Audenreed Press, PMB 103 13 Gurnet Road., Brunswick, Maine 04011. or on line at the address below. Jon Marc Taylor can be contacted directly at: Jon Marc Taylor, PhD, #503273, 1115 East Pence Road, Cameron, MO 64429. By Ernest Drucker. The New Press, Publication date September 2011. Drucker, an internationally recognized public health scholar and researcher, spent twenty years treating drug addiction and studying AIDS in some of the poorest neighborhoods of the South Bronx. He compares mass incarceration to other, well-recognized epidemics using basic public health concepts-"prevalence and incidence," "outbreaks," "contagion," "transmission," "potential years of life lost." He argues that imprisonment-originally conceived as a response to individuals' crimes-has become "mass incarceration": a destabilizing force that undermines the families and communities it targets, damaging the very social structures that prevent crime. This book demonstrates that our unprecedented rates of incarceration have the contagious and self-perpetuating features of the plagues of previous centuries. Edited by Jael Silliman and Anannya Bhattacharjee. A Project of the Committee on Women, Population and the Environment. Boston: South End Press, 2002. By Vanessa Barker. Oxford University Press, USA (August 2009). The attention devoted to the unprecedented levels of imprisonment in the United States obscure an obvious but understudied aspect of criminaljustice: there is no consistent punishment policy across the U.S. It is up to individual states to administer their criminal justice systems, and the differences among them are vast. For example, while some states enforce mandatory minimum sentencing, some even implementing harsh and degradingpractices, others rely on community sanctions. What accounts for these differences? The Politics of Imprisonment seeks to document and explain variation in American penal sanctioning, drawing out the larger lessons for America' overreliance on imprisonment. Grounding her study in a comparison of how California, Washington, and New York each developed distinctive penal regimes in the late 1960s and early 1970s--a critical period in the history of crime control policy and a time of unsettling social change--Vanessa Barker concretely demonstrates that subtle but crucial differences in political institutions, democratic traditions, and social trust shape the way American states punish offenders. Barker argues that the apparent link between public participation, punitiveness, and harsh justice is not universal but dependent upon the varying institutional contexts and patterns of civic engagement within the U.S. and across liberal democracies. By Bill Yousman. (Peter Lang Publishing Group, 2009). In the current era of rampant incarceration and an ever-expanding prison-industrial complex, this book breaks down the distorted and sensationalistic version of imprisonment found on U.S. television. Examining local and national television news, broadcast network crime dramas, and the cable television prison drama Oz, the book provides a comprehensive analysis of the stories and images of incarceration most widely seen by viewers in the U.S. and around the world. The textual analysis is augmented by interviews with individuals who have spent time in U.S. prisons and jails; their insights provide important context while encouraging readers to critically reflect on their own responses to television images of imprisonment. By Marie Gottschalk, Cambridge University Press. June 2006. Over the last three decades the United States has built a carceral state that is unprecedented among Western countries and in US history. Nearly one in 50 people, excluding children and the elderly, is incarcerated today, a rate unsurpassed anywhere else in the world. What are some of the main political forces that explain this unprecedented reliance on mass imprisonment? Throughout American history, crime and punishment have been central features of American political development. This book examines the development of four key movements that mediated the construction of the carceral state in important ways: the victims' movement, the women's movement, the prisoners' rights movement, and opponents of the death penalty. This book argues that punitive penal policies were forged by particular social movements and interest groups within the constraints of larger institutional structures and historical developments that distinguish the United States from other Western countries. By Deborah Jiang Stein. A deeply personal memoir recounting one woman's struggles - beginning with her birth in prison - to find self-acceptance. (Captive Audiences Publishing, 2013). By Terri LeClercq. This entertaining and educational graphic novel teaches inmates how to think through a jail or prison problem and then write a grievance about it. Written with 5th-grade vocabulary and syntax, it engages readers with plot and character development. Grievances must conform to the stringent rules of the federal Prison Litigation Reform Act and the rules of particular jails or prison systems. This novel teaches those rules. By Peter Wagner, 2003. Order from casino games namesprisonpolicy.org. By James Braxton Peterson. Illustrated by John Jennings and Stacey Robinson Foreword by Michael Eric Dyson. (September 2016). In Prison Industrial Complex For Beginners, author and Associate Professor of English at Lehigh University, James Braxton Peterson does just that. Peterson boils down the PIC to its insidious core – a collection of social structures, systems, and policies – especially institutional racism, the war on drugs and mass incarceration. Together with illustrator John Jennings, Peterson distills these multi-layered components that make up what activists deem the Mass Incarceration Movement that has, and continues to imprison and dehumanize convicted individuals in the United States. Edited by Tara Herivel and Paul Wright. New York: Routledge, 2003. This is the third and latest book in a series of Prison Legal News anthologies that examines the reality of mass imprisonment in America. Locking up 2.3 million people isn't cheap. Each year federal, state, and local governments spend over $185 billion annually in tax dollars to ensure that one out of every 137 Americans is imprisoned. Prison Profiteers looks at the private prison companies, investment banks, churches, guard unions, medical corporations, and other industries and individuals that benefit from this country's experiment with mass imprisonment. It lets us follow the money from public to private hands and exposes how monies formerly designated for the public good are diverted to prisons and their maintenance. Contributors include: Judy Greene on private prison giants Geo (formerlyWackenhut) and CCA; Anne-Marie Cusac on who sells electronic weapons to prison guards; Wil S. Hylton on the largest prison health care provider; Ian Urbina on how prison labor supports the military; Kirsten Levingston on the privatization of public defense; Jennifer Gonnerman on the costs to neighborhoods from which prisoners are removed; Kevin Pranis on the banks and brokerage houses that finance prison building; and Silja Talvi on the American Correctional Association as a tax-funded lobbyist for professional prison bureaucracies; Tara Herivel on juvenile prisons; Gary Hunter and Peter Wagner on the census and counting prisoners; David Reutter on Florida's prison industries; Alex Friedmann on the private prisoner transportation industry; Paul Von Zielbauer on the sordid history of Prison Health Services in New York; Steven Jackson on the prison telephone industry; Samantha Shapiro on religious groups being paid to run prisons and Clayton Mosher, Gregory Hooks and Peter Wood on the myth and reality of building rural prisons. This is an exclusive paperback printing made just for Prison Legal News. Price: $19.95. By Winnifred Fallers Sullivan, Princeton University Press 2009. "This book analyzes the record in a federal trial challenging the constitutionality of a faith-based prison rehabilitation program in an Iowa prison: Americans United v. Prison Fellowship Ministries. The plaintiffs in the case argued that a residential program that advertises itself as "Bible-based" and "Christ-centered," and requires prisoners to memorize Bible passages and learn to apply them to their lives, violates the establishment clause of the First Amendment to the US Constitution. The judge agreed, describing the program, InnerChange Freedom Initiative, as a state-sponsored program of forced conversion. The book presents the testimony of the witnesses in the case and sets that testimony in the context of American penal and religious history. It addresses the convergence of two distinctive features of the United States: a place where a higher percentage of its population is incarcerated than anywhere else in the world, and a place that is often described as very religious." Jon Marc Taylor and Susan Schwartzkopf (2009) Published by Prison Legal News. Prisoners' Guerrilla Handbook to Correspondence Programs in the U.S. and Canada, 3rd Edition (PGHCP) is written by Missouri prisoner Jon Marc Taylor who has successfully completed a B.S. degree, an M.A. degree and a Doctorate by mail while imprisoned. This book was initially published in the late 1990s. The second edition was published by Biddle Publishing in 2002. The publisher retired in 2007 and Prison Legal News took over the publishing of the book as the first title in its new book line. With the expert assistance of Editor Susan Schwartzkopf, the third edition of PGHCP has been totally revamped and updated. Many colleges no longer offer correspondence courses, having gone totally to online distance learning courses. This book offers a complete description of more than 160 programs that are ideal for prisoners seeking to earn high school diplomas, associate, baccalaureate and graduate degrees and vocational and paralegal certificates. In addition to giving contact information for each school, Taylor includes tuition rates, text book costs, courses offered, transfer credits, time limits for completing course, whether the school is accredited, and if so by whom, and much, much more. What makes the book unique is Taylor's first hand personal experience as an imprisoned distance learning student who has a basis for comparison and knows how to judge a college correspondence course from the perspective of an imprisoned student who doesn't have e mail access and who cannot readily call his instructor. Taylor also explains factors to be considered in selecting an educational program and how to make meaningful comparisons between the courses offered for the tuition charged. No money to pay for school? Taylor covers that too. Diploma mills? The book addresses how to recognize and avoid them. Any prisoner seeking to begin or continue their education behind bars will find this to be an invaluable road map. By Ace Boggess (2014). Ace Boggess was locked up for five years in the West Virginia prison system. During that time, he wrote the poems collected here and published most of them. Prior to his incarceration, he earned his B.A. from Marshall University and his J.D. from West Virginia University. He has been awarded a fellowship from the West Virginia Commission on the Arts, and his poems have appeared in such journals as Harvard Review, Notre Dame Review, Southern Humanities Review and The Florida Review. His first collection, The Beautiful Girl Whose Wish Was Not Fulfilled, appeared in 2003. He currently resides in Charleston, West Virginia. Edited by Mechthild Nagel and Seth N. Asumah. Africa World Press. 2007. Focusing on cross-national perspectives about penal theories and empirical studies, this book brings together African, European and North American social philosophers and sociologists, political scientists, legal practitioners, prisoners and abolitionist activists, to reflect not only on the carceral society, notably in the Untied States, but also on the reconceptualization of punishment. By Judah Schept. 2015. NYU Press. In Progressive Punishment, Judah Schept offers an ethnographic examination into the politics of incarceration in Bloomington, Indiana in order to consider the ways that liberal discourses about therapeutic justice and rehabilitation can uphold the logics, practices and institutions that comprise the carceral state. Schept examines how political leaders on the Left, despite being critical of mass incarceration, advocated for a “justice campus” that would have dramatically expanded the local criminal justice system. At the root of this proposal, Schept argues, is a confluence of neoliberal-style changes in the community that naturalized prison expansion as political common sense among leaders negotiating crises of deindustrialization, urban decline, and the devolution of social welfare. By Monique W. Morris (2016). The school-to-prison pipeline has been examined largely for how it affects men, but Morris, cofounder of the National Black Women’s Justice Institute, shifts our focus to the deleterious impact on African-American girls in racially isolated, high-poverty, low-performing schools. Morris examines the zero- tolerance policies (“the primary driver of an unscrupulous school-based reliance on law enforcement”), coupled with the increased police presence and surveillance tools (e.g., metal detectors and bag check stations) to show their effects on African-American girls. Through the voices of young girls themselves, she conveys their experiences with teachers and staff at school and in the juvenile correction facilities. Avery/Penguin, 2009. A memoir by R. Dwayne Betts. A story of literature, insanity and finding manhood in prison. By Marc Mauer. New York: The New Press, 1999. By Meg Sweeney. (UNC Press, 2010). Drawing on extensive individual interviews and group discussions with ninety-four women imprisoned in North Carolina, Ohio, and Pennsylvania, Reading Is My Window explores how women prisoners use the limited reading materials available to them to come to terms with their pasts, negotiate their present experiences, and reach toward different futures. The book offers the first analysis of incarcerated women's reading practices, and it foregrounds the voices and experiences of African American women, one of the fastest growing yet least acknowledged populations in U.S. prisons. Reading Is My Window situates contemporary prisoners' reading practices in relation to the history of reading and education in U.S. penal contexts, explores the material dimensions of women's reading practices, and analyzes the modes of reading that women adopt when engaging with three highly popular genres (narratives of victimization, African American crime fiction, and self-help and inspirational books). The book also discusses the many kinds of encounters fostered by book discussions and offers detailed portraits of two imprisoned readers, each of which weaves together the woman's life narrative and her own description of her reading practices. Kevin Pyle, Susan Willmarth, Sabrina Jones, Ellen Miller-Mack, Craig Gilmore and Lois Ahrens. PM Press 2008. Prisoners of a Hard Life: Women and Their Children includes stories about women trapped by mandatory sentencing and the "costs" of incarceration for women and their families. Also included are alternatives to the present system, a glossary, and footnotes. Over 135,000 copies of the comic books have been printed and more than 130,000 have been sent to families of people who are incarcerated, people who are incarcerated, and to organizers and activists throughout the country. The book includes a chapter with descriptions about how the comix have been put to use in the work of organizers and activists in prison and in the "free world" by ESL teachers, high school teachers, college professors, students, and health care providers throughout the country. By Marlon Smith. This book examines the history of black male incarceration starting in the nineteenth century. This examination highlights how the label felon and the use of the prison was intentionally deployed to recast black men as dangerous and to justify the use of penal structures to systematically erase black radical projects. Lexington Books. Publication date: December 2018. By Vikki Law (PM Press, 2009). In 1974, women imprisoned at New York's maximum-security prison at Bedford Hills staged what is known as the August Rebellion. Protesting the brutal beating of a fellow prisoner, the women fought off guards, holding seven of them hostage, and took over sections of the prison. Why do activists know about Attica but not the August Rebellion? Resistance Behind Bars documents collective organizing and individual resistance among women incarcerated in the U.S. and challenges the reader to question why these instances and efforts have been ignored and why many assume that women do not organize to demand change. It fills the gap in the existing literature, which has focused mostly on the causes, conditions and effects of female imprisonment. Women have significantly disrupted the daily operations of their prison to protest injustices and demand change. More often, however, they have employed less visible means such as forming peer education groups, clandestinely organizing ways for children to visit mothers in distant prisons and raising public awareness about their conditions. By emphasizing women's agency in resisting individually as well as organizing collectively against their conditions of confinement, Resistance will spark further discussion and research on incarcerated women's actions and also galvanize much-needed outside support for their struggle. Poems by R. Dwayne Betts. (Alice James Books, 2010). An advocate for juvenile justice and prison reform, Betts is the national spokesperson for the Campaign for Youth Justice. By Jean Trounstine. Jean Trounstine, who spent 10 years teaching at Framingham (MA) Women's Prison, focuses on six prisoners who, each in her own way, discover in the power of Shakespeare a way to transcend the painful constraints of incarceration. Shakespeare Behind Bars is a story about the power of art and education. Originally published in cloth by St. Martin's Press in 2001, the paperback includes a new foreword that will inspire all teachers who work with students others have deemed unteachable. A new afterword updates readers on the lives of the six inmates-and the author herself-since 2001. By Dennis Childs (2015). In Slaves of the State Dennis Childs argues that the incarceration of black people and other historically repressed groups in chain gangs, peon camps, prison plantations, and penitentiaries represents a ghostly perpetuation of chattel slavery. By Greg Berman of the Center for Court Innovation and Julian Adler. 2018. New Press. By Mona Lynch, Associate Professor, Criminology, Law and Society at UC Irvine. Stanford University Press, 2009. The book examines changes in Arizona's criminal justice policies and practices over a 50 year period as a mode for understanding and explaining the multiple dynamics underlying the dramatic penal transformations and the rise of mass incarceration that occurred across the United States in the late 20th century. By Rachel Marie-Crane Williams, Northeastern University Press, 2003. Essays and discussions of the challenges, rewards, ethical complexities, and emotional toll of working with inmates in adult and juvenile prisons, jails. Nandi Crosby, Editor. Included is an essay by Jon Marc Taylor, PhD. Review by Jon Marc Taylor: "This anthology is a collection of heart-wrenching firsthand accounts of prisoners who ache for redemption. Inmates in their first, second, and third decades of incarceration wrench out awakenings of tragedy and remorse in these narratives. Focusing on events leading up and since incarceration, this compilation of nonfiction essays is a biting commentary on loss and revival that takes place every day inside penitentiaries throughout the U.S.
By Lashonia Thompson-El. LashoniaSpeaks.com. Through The W.I.R.E. : My Search for Redemption is the story of a young woman who grew up in Washington, DC during the era of time when the crack epidemic was at its height. Shawn spent her most impressionable years in SE, DC and as her story unfolds she becomes a teen mom, drops out of high school and is deeply immersed in a life of crime. By the time Shawn was 19 years old her life had spiraled completely out of control and she landed herself in prison leaving behind two young children. Once she became incarcerated Shawn sought to rehabilitate herself. Her story is about the inner city subcultural values that lie at the root of the dramatic rise of the female prison population. A remarkable story about crime, violence and redemption through the eyes of a young woman born and raised in our Nation's Capital. By Tom Wicker. Back in print from Haymarket Books. The essential first hand account of the Attica Prison rebellion, back in print for the 40th anniversary of the uprising. In September 1971 the inmates of Attica revolted, took hostages, and forced the authorities into four days of desperate negotiation. At the outset the rebels demanded - and were granted - the presence of a group of observers to act as unofficial mediators. Tom Wicker, then the associate editor of The New York Times, was one of those summoned. In four crucial days, he learned more, saw more, and felt more than in most of the rest of his life. In the end, a police attack was launched, and as a result dozens of prisoners, as well as prison employees, were killed. Edited by Simone Weil Davis, Barbara Sherr Roswell (2015). The Inside-Out Prison Exchange Program brings campus-enrolled and incarcerated students together as classmates in postsecondary courses built around dialogue, collaboration, and experiential learning. Contributors to this book consider the broader lessons that Inside-Out provides for community-based learning praxis, prison education and postsecondary teaching in general, both on campus and in community settings. An international network of practitioner-scholars probe the challenges and contradictions inherent in community-based work, but especially charged in the prison setting: the intersections of race, class and gender, and the tensions between teaching and activism, evaluation and advocacy, and compromise with and resistance to oppressive and dehumanizing systems. By John Speer, Skinner House Books, 2008, ISBN# 1-55896-538-6-978-1-55896-538-6. In 2003, members of the Henry David Thoreau Unitarian Universalist Congregation of Fort Bend County, Texas, began a letter-writing program with prison inmates. Soon afterward they launched a creative writing workshop and then a program that allowed prisoners to serve as writing mentors to college students. Speer's book describes how these programs started and evolved, sharing details about what worked, what didn't and how the experience was transformational for all involved. By James Kilgore. From Ruth Wilson Gilmore: "At a moment when well-funded opportunists cast long shadows, Kilgore sheds light. His lucid style breaks down complexity and exposes myths. Vivid examples enliven every page. By highlighting voices and images from the grassroots, he shows not only what is to be fought but also how to fight. 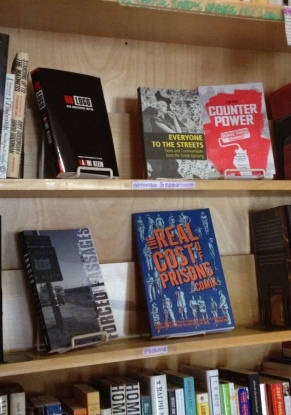 Understanding Mass Incarceration belongs on every activist’s bookshelf. It provides a comprehensive analysis of the data, the political history and the way forward in challenging mass incarceration. And it does so in a highly persuasive manner." (Aug. 2013) by Andrea James. In Upper Bunkies Unite: And Other Thoughts On the Politics of Mass Incarceration author Andrea James takes a critical look at the politics and policies resulting in mass incarceration within the United States. From her professional experience as a former criminal defense lawyer, and her personal experience as a formerly incarcerated woman, James provides a more accurate portrait of who is in our prisons and the destructive outcome of politics that support a failed drug war and exhaust resources on law enforcement and incarceration. James demonstrates the need for a shift toward community wellness initiatives to replace incarceration and a complete overhaul of the current U.S. criminal justice framework from one of punishment and wasted human potential, to a system focused on social justice and healing. Edited by Phil Scraton and Jude McCulloch. 2008. Price: £60 (to be published in soft cover 2009). Routledge. Conceived in the immediate aftermath of the humiliations and killings of prisoners in Afghanistan and Iraq, of the suicides and hunger strikes at Guantánamo Bay and of the disappearances of detainees through extraordinary rendition, this book explores the connections between these shameful events and the inhumanity and degradation of domestic prisons within the 'allied' states, including the USA, Canada, Australia, the UK and Ireland. The central theme is that the revelations of extreme brutality perpetrated by allied soldiers represent the inevitable end-product of domestic incarceration predicated on the use of extreme violence including lethal force. By Kaia Stern. Kaia Stern describes the history of punishment and prison education in the United States and proposes that specific religious and racial ideologies - notions of sin, evil and otherness - continue to shape our relationship to crime and punishment through contemporary penal policy. Inspired by people who have lived, worked, and studied in U.S. prisons, Stern invites us to rethink the current ‘punishment crisis’ in the United States. Routledge, 2014. By Timothy Black (Pantheon), $29.95. The Rivera family moved to Springfield, Mass., with their three sons, Julio, Fausto and Sammy, in the late 1980s. (No real names are used in this book.) That's right when the city's metalworking factories were closing down, the city was becoming a major center for illicit drug distribution, the public schools were graduating only 50 percent of their Puerto Rican students, and the War on Drugs was handing out mandatory minimum sentences with a vengeance. It was a perfect storm. Although the Rivera brothers were smart, capable, and had supportive parents, these powerful forces would whip them by varying degrees. By Jamie Bissonette, with Ralph Hamm, Robert Dellelo, and Edward Rodman. South End Press, April 2008. In 1971, Attica's prison yard massacre shocked the public, prisoners, and political leaders across the United States. Massachusetts residents pledged to prevent such slaughter from ever happening there, and the governor agreed. Thus began a move for reform that eventually led to the prisoners at Walpole's Massachusetts Correctional Institute winning control of its day-to-day operations, with tremendous results. When the Prisoners Ran Walpole brings this vital history to life, revealing what can happen when there is public will for change and trust that the incarcerated can achieve it. For the first time in US history, prisoners secured authorization for their union to conduct collective bargaining with the prison administration. Their union, the National Prisoners Reform Association (NPRA), enabled prisoners to address their living and working conditions from the inside. By Michael T. McRay. Foreword by Desmond M. Tutu. Cascade Books 2016. Expanding on his MPhil dissertation Echoes from Exile (with Distinction) from Trinity College Dublin, Michael McRay's book brings the perspectives and stories of fourteen Tennessee prisoners into public awareness. Weaving these narratives into a survey of forgiveness literature, McRay offers a map of the forgiveness topography. At once storytelling, academic, activism, and cartography. By Lora Bex Lempert (2016), NY Press. How do women – mothers, daughters, aunts, nieces and grandmothers – make sense of judgment to a lifetime behind bars? In Women Doing Life, Lora Bex Lempert presents a typology of the ways that life-sentenced women grow and self-actualize, resist prison definitions, reflect on and “own” their criminal acts, and ultimately create meaningful lives behind prison walls. Her gendered analysis considers the ways that women “do crime” differently than men and how they have qualitatively different experiences of imprisonment than their male counterparts. Through in-depth interviews with 72 women serving life sentences in Michigan, Lempert brings these women back into the public arena, drawing analytical attention to their complicated, contradictory, and yet compelling lives. Women Doing Life focuses particular attention on how women cope with their no-exit sentences and explores how their lifetime imprisonment catalyzes personal reflection, accountability for choices, reconstruction of their stigmatized identities, and rebuilding of social bonds. Lempert vividly illustrates how, behind the prison gates, life-serving women can develop lives that are meaningful, capable and, oftentimes, even ordinary. Women Doing Life shows both the scope and the limit of human possibility available to women incarcerated for life. An anthology published by Voices from Inside. VFI is a group in Western Massachusetts which facilitates writing workshops with incarcerated women, encouraging them to write their stories in their own unique voices. 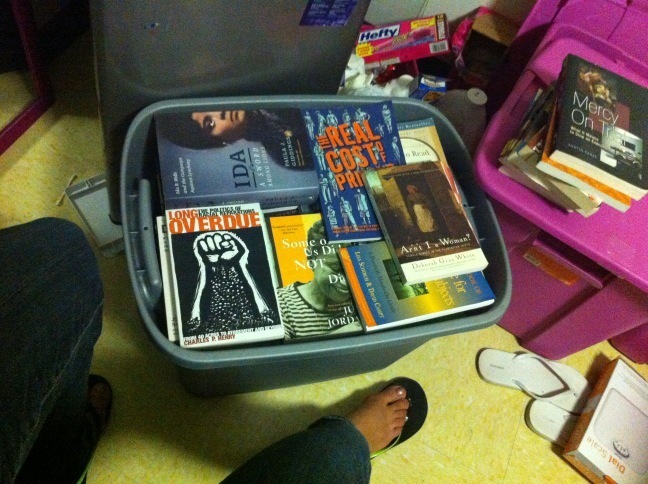 Books can be purchased for $17.00 each, plus $3.00 for shipping and handling. For additional information contact Voices from Inside, 103 Springfield St., Chicopee, MA 01013 or kim@voicesfrominside.org. By David Oshinsky. Free Press, 1996. Robert Gaucher, Editor. Published by Canadian Scholars Press (Toronto) 2002.